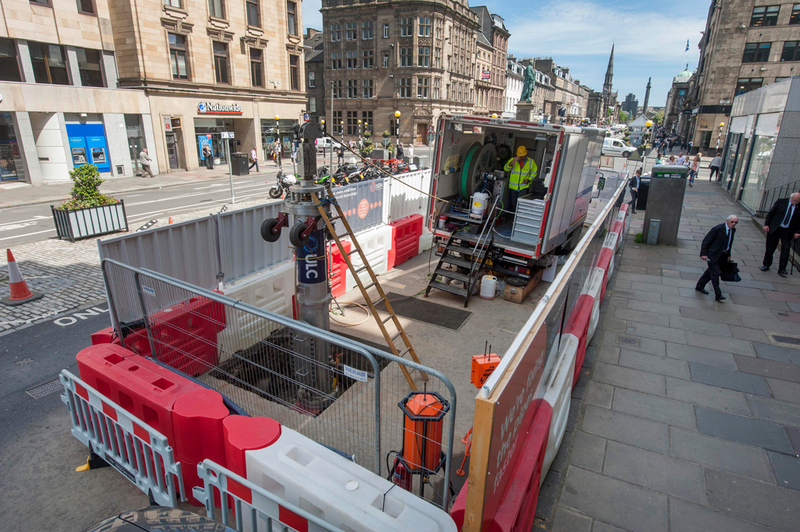 In conjunction with UK gas distribution network SGN, ULC Robotics’ launched its Cast Iron Joint Sealing Robot (CISBOT) for the first time in Scotland on iconic George Street in Edinburgh. 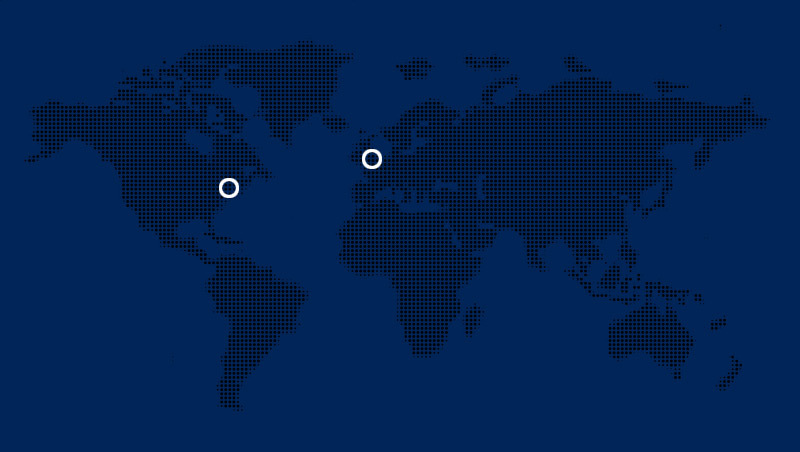 Similar to Fifth Avenue in New York City, the robot rehabilitated the joints in more than 1,965 feet of buried gas pipe that delivers gas to businesses and residents in the high profile, central location. 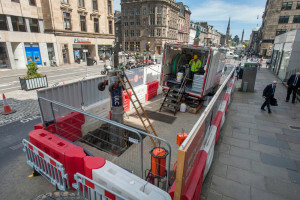 When a large diameter cast iron gas main along George Street in Edinburgh, Scotland was in need of rehabilitation, ULC Robotics launched its CISBOT robotic technology for gas network, SGN. The robotic technology was deployed into a live gas main to renew 1,965 feet of pipe that delivers gas to business and residents along the center city street. Because the project was in such a densely populated area, it was critical that CISBOT’s joint sealing work allowed gas service to stay turned on to the multiple businesses and shops, and the site footprint remain compact and clean to allow traffic to flow smoothly throughout the six week project. With just two excavations in the road, CISBOT’s renewed more than 200 joints and 96% of the work was invisible to the public. George Street in Edinburgh, Scotland is one of the city’s most high profile and central locations. With multiple restaurants, specialty shops and businesses lining the street it was imperative that gas service remained turned on and that foot and vehicle traffic flowed smoothly while the gas main was being rehabilitated by CISBOT. ULC Robotics’ CISBOT launches through a small excavation in the street into 100 percent live gas cast iron mains to seal leaking joints and prevent new leaks from forming. The non-intrusive work performed by CISBOT allowed gas service to remain online, traffic was able to flow smoothly and the project was completed successfully with 96% of the work unseen by the public. By working with ULC, SGN achieved multiple goals by utilizing CISBOT to renew the large diameter cast iron gas main along George Street. The innovative technology reduced the amount of time and excavations needed to renew the pipeline. 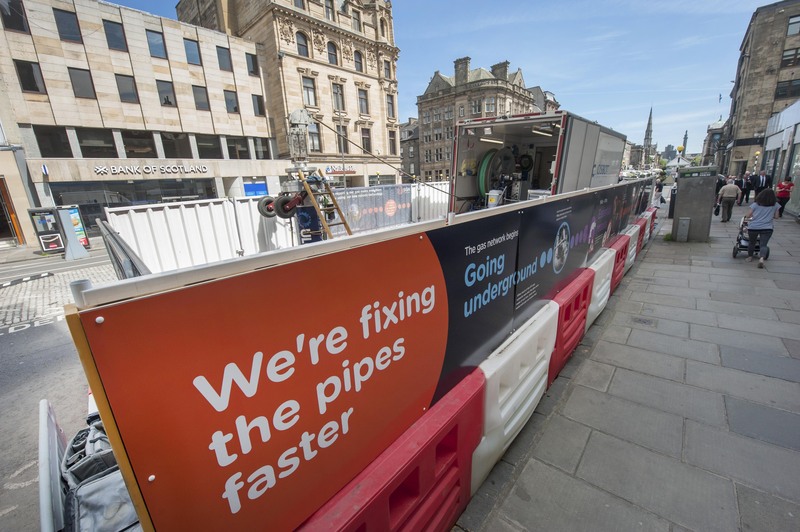 Compared to traditional replacement or rehabilitation methods which would have closed a portion of the street and turned off gas service to customers, CISBOT allowed SGN to keep the the high profile and heavily trafficked, George Street, open to the public and gas service remained turned on. 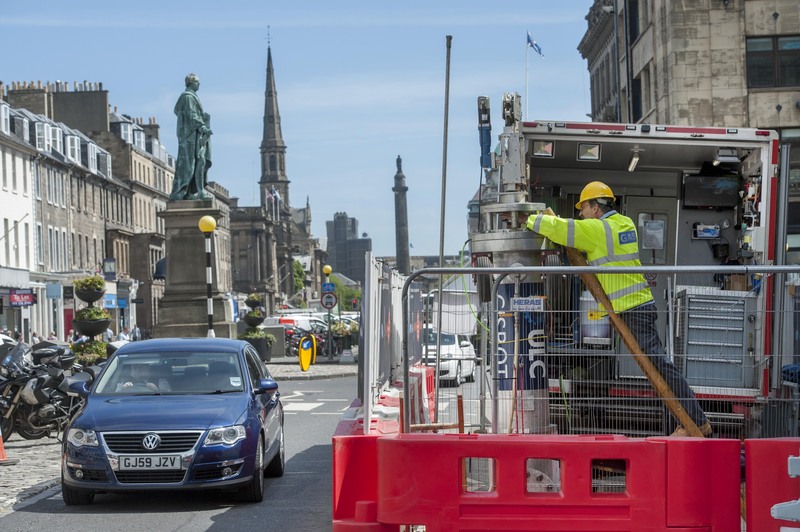 CISBOT’s work also reduced operational costs, cut greenhouse gas emissions and increased the satisfaction of their customers by reducing the public disruption that is often cause while conducting roadworks.